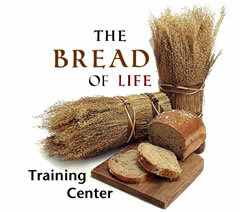 The Bread of Life Training Center is an online ministry school for lay people who want to train for end-time ministry without wasting time or money on unnecessary courses. As one of the Empower Ministries, we connect people with the God of the Bible through intensive training in all phases of ministry, so they will stay connected and connect others––until they are all ready to meet their King! Jolynn is a gifted pastor’s wife with awesome people skills and a dazzling personality. Dr. Lee, a scholar with a pastor’s heart, has taught at several seminaries and was awarded a Gold Medallion by the Evangelical Christian Publishers Association for "Handbook for Bible Study" in 1996. They co-founded Empower Ministries in 2000 to bring people back to the Written and Living Word and have dedicated their lives to helping others develop a personal relationship with the Lord Jesus Christ. In 1996, the ECPA awarded Dr. Lee Gugliotto a Gold Medallion for Handbook for Bible Study, declaring it the international, interdenominational Bible study book of the year! ECPA's Mission is to equip our members to make the Christian message more widely known. We do that through providing opportunities to network, access to information, and support through advocacy. Today, Dr. Lee operates Bread of Life Training Centers, a non-profit, online and onsite school, that trains lay people and lay equippers for end time ministry. The school offers a complete curriculum from biblical languages to counseling, especially geared to those who want no-nonsense, quality training at their own pace, and a price they can afford. I’ve learned more about Jesus and drawn closer to Him in the past 2 years with you guys, than I have the whole rest of my Christian life. I am learning so much! Dr. Lee makes Hebrew simple enough that even I can understand it. Dr. Lee packs a lot into every class. I look forward to ordination and using everything I am learning in my ministry. The simplicity in which Dr. Lee presents, teaches, and encourages us to study God’s Word is powerful beyond belief. Equipping us to dig into the Bible for ourselves makes us less dependent on anyone other than the Holy Spirit to instruct us. 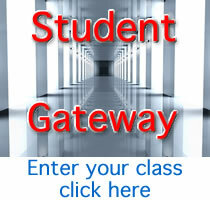 Please click on our information page to find out more about our program.